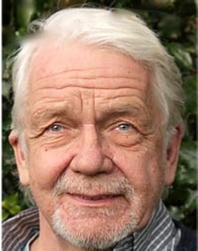 Tom – son of Bill Owen (Compo, in Last of the Summer Wine) – has been an actor for forty eight years, started his career as an assistant stage manager at Leatherhead Theatre and has worked extensively in one, two and three weekly repertory both as an actor and director. He has appeared many times in the West End and on Broadway in London Assurance with the Royal Shakespeare Company. He has rarely been off the television screen since making his TV debut in 1968 in Freewheelers, appearing in numerous television series, including Wreckers at Deadeye, Tottering Towers, Z Cars, Upstairs Downstairs, The Bill, Minder, Horse in the House, The Onedin Line, The Piglet Files, Our Mutual Friend, The Hello Goodbye Man and, of course, Last of the Summer Wine. One of the highlights of his career was working with Dame Edith Evans in Harlequinade for Anglia TV. Film appearances include Goodbye Mr. Chips with Peter O'Toole, Unman, Wittering & Zigo with David Hemmings, Great Expectations with Michael York and Queenie with Kirk Douglas. Tom is a pantomime veteran with over twenty under his belt and can always be seen over Christmas somewhere in the country. “Television is great and certainly pays the bills” says Tom “but I always look forward to returning to where I learnt my craft – the theatre”. He has run his own fringe theatre in West London, was Head of Drama at Thames Valley University and has taught at most of the major London drama schools.For the past eight years he has been touring his one-man show Last of the Summer Wine – Treading the Boards, the story of his father, himself and of course Last of the Summer Wine, the longest running television comedy series in the world. Television history was made when Tom joined the series following the death of his father, Bill, who played Compo for twenty seven years. Never before had a father’s real life son gone into the same series playing his character’s fictional son. It took over forty years for Tom to tackle the greatest challenge of his theatrical career. He was persuaded to take on Samuel Beckett’s one-man semi-autobiographical masterpiece, Krapp’s Last Tape.